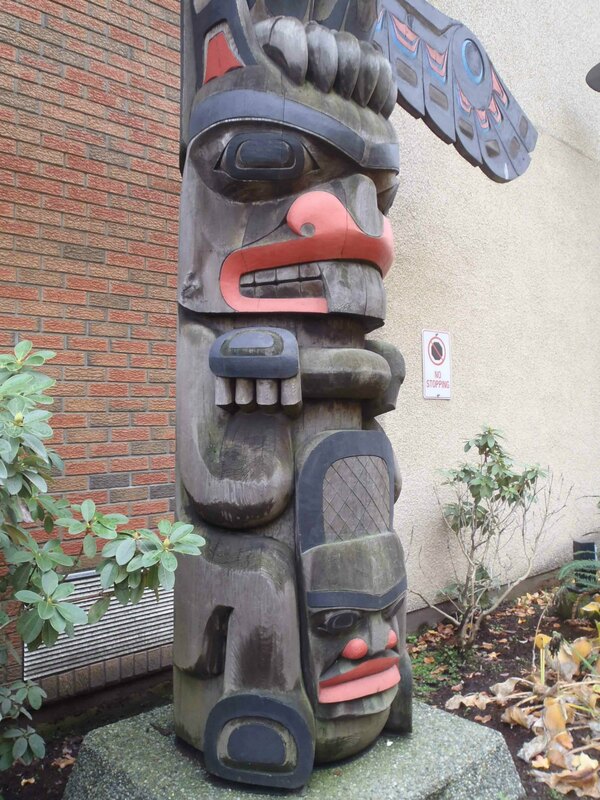 The Eagle Pole was the first pole commissioned for the City of Duncan’s Totem Pole collection (note PDF) for the City of Totems program (note PDF). 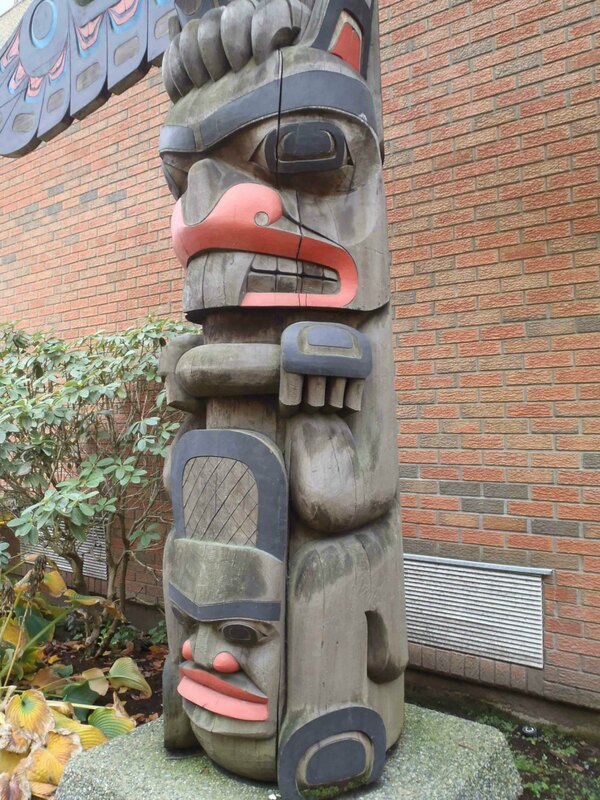 The pole was carved and raised in 1986 by carver Francis Horne, Sr. It is 3.9m (12’9″) in height and stands in Lois Lane, just off Canada Avenue in downtown Duncan. “The Eagle for the Horne family represents freedom of spirit. The face on the chest represents the spirit of the Eagle. 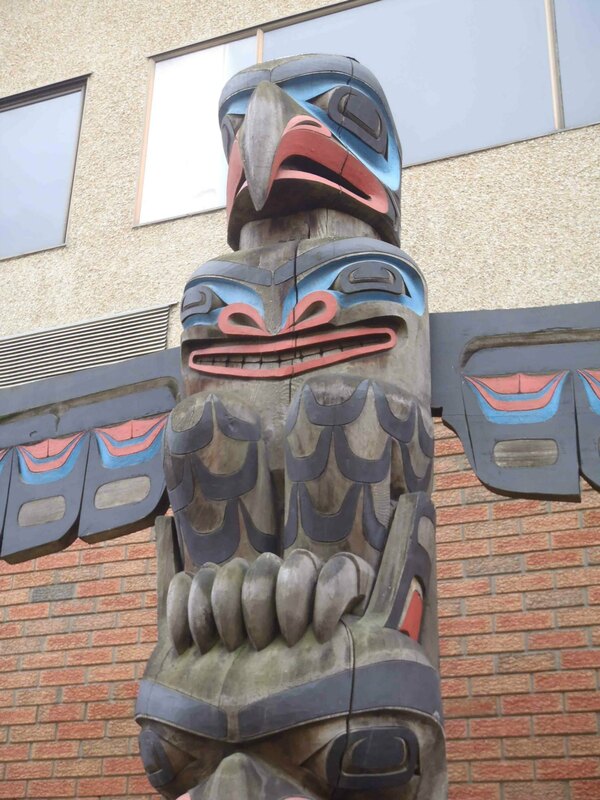 The face on the Eagle’s chest represents the spirit of the Eagle. 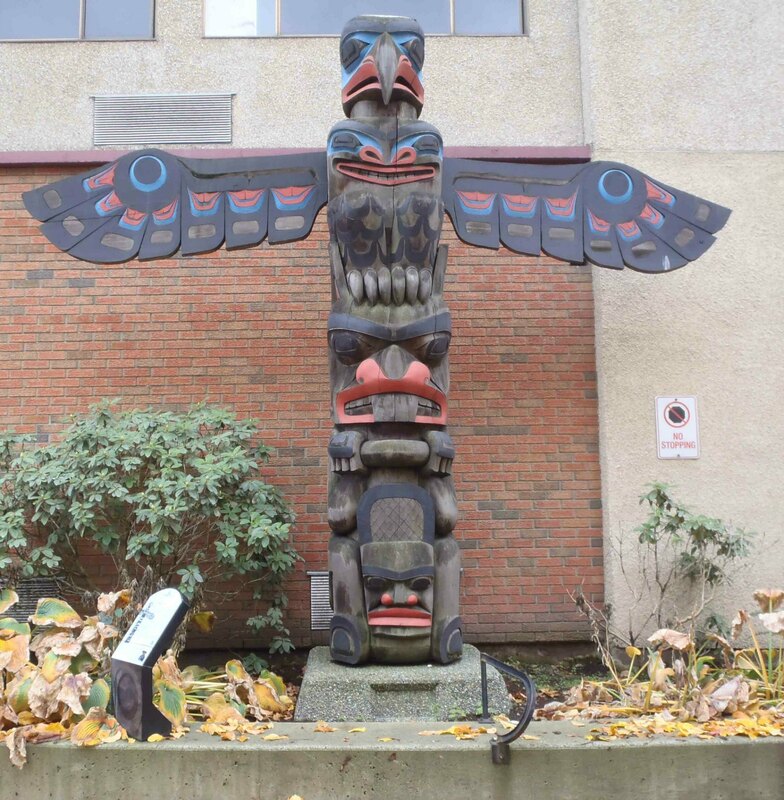 Carver Francis Horne, Sr. says he chose the Beaver for the pole because the Beaver represents the builder. 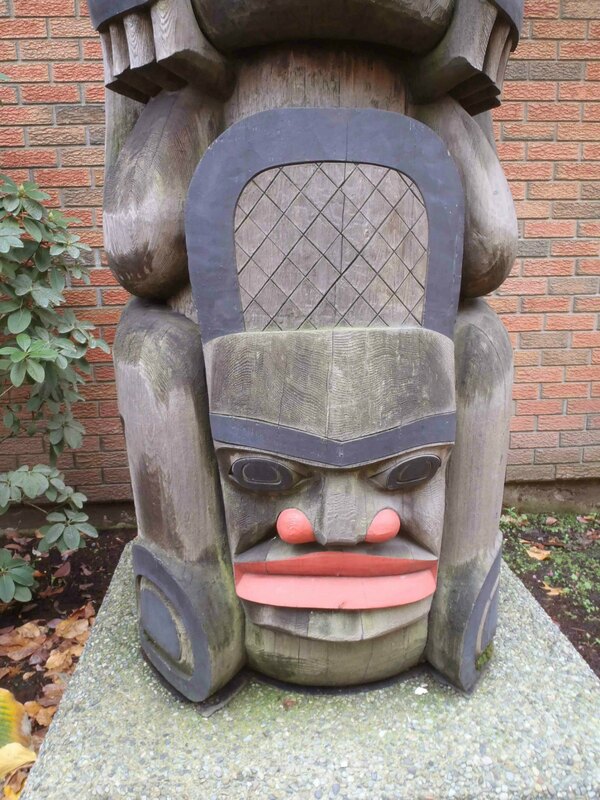 The Chief’s face on the Beaver tail represents the people of the community. Carver Francis Horne, Sr. says the Chief’s face on the Beaver tail represents the people of the community.